Life in all its might, what's wrong with the world? India proudly calls itself a sovereign, secular, democratic state. Here, we are gifted with Fundamental Rights and a Constitution that safeguards the law abiding citizens. But what happens when people start making up their own laws? I sat in front of the mirror, fresh out of shower, my loose curls clinging to my cotton churidar top, still dripping, probably in a hurry to leave my body. There I was, all dressed in a perfectly ironed salwar kameez, which happens to be three-fourth sleeved, because that’s in fashion? Maybe it’s time to end the ‘Too’! Too short, too tall, too fat, too thin, too dark, too fair, too hairy, too everything and anything! I was awarded the Liebster award! All thanks to storyspiller for this one! Check out this wonderful blog post on modern day feminism and how it’s getting a wrong meaning. 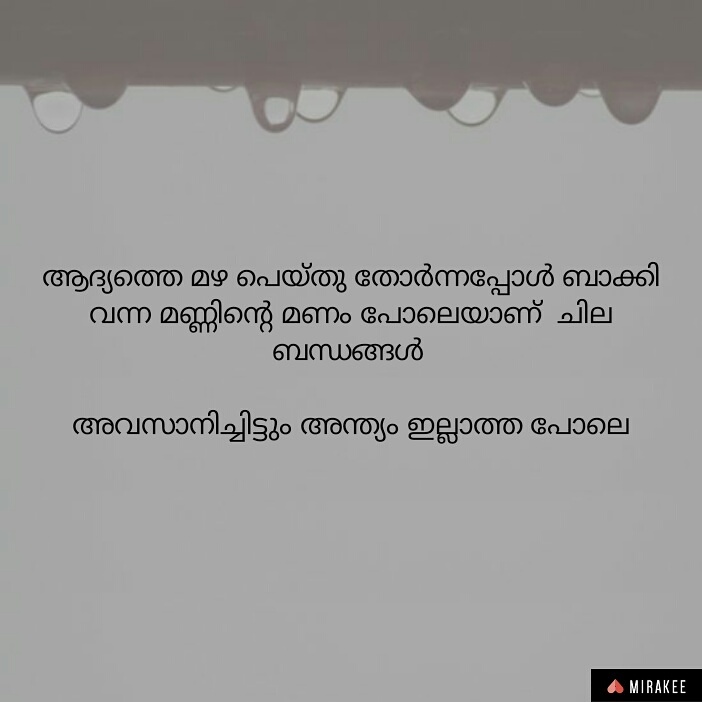 മഴ എന്നും ഒരു കവിതയാണ്.. പ്രണയമാണ്..